Ledger offers smartcard-based crypto asset hardware wallets bringing optimal protection level to your Groestlcoins, Bitcoins, Ethereums and more - without sacrificing usability or control. 3. Go to General tab. 4. Scroll down to the bottom and enable Developer Mode. 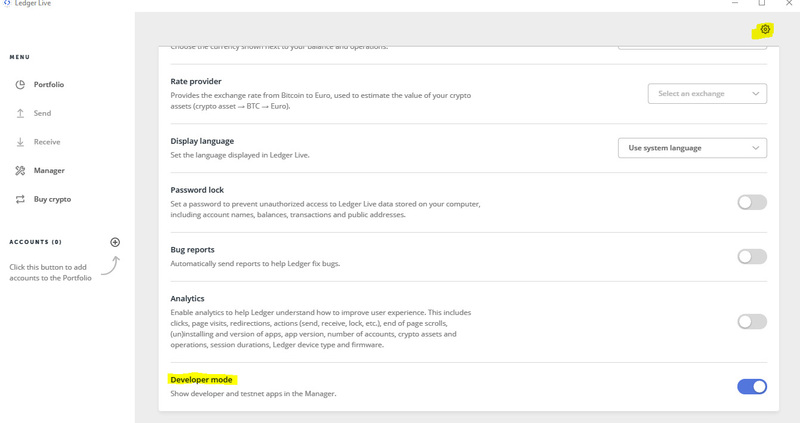 It will show Developer and Testnet Apps in the Manager tab. 5. Groestlcoin Testnet will be available to install it on Ledger Nano S and ledger Blue.